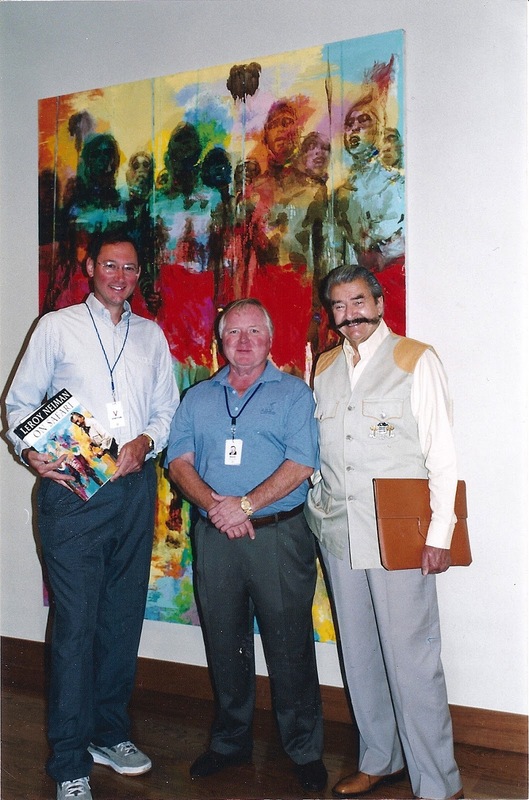 Most people probably don't think of LeRoy Neiman as a wildlife artist, and for good reason. He was much more. But he did in fact paint wildlife. 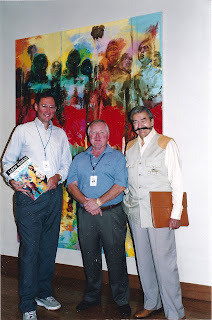 In 2003, LeRoy Neiman had an exhibition at The Wildlife Experience in Denver based on the book of the same title: LeRoy Neiman: On Safari. The exhibit was comprised of nearly seventy artworks inspired by a trip the artist made to Kenya in 1994. Many of the exhibited works, including a new eight-foot high masterpiece of a Maasai warrior painted especially for the exhibit, and a 19-foot wide canvas of “the big five” painted in the African bush, were by Neiman from his private collection. 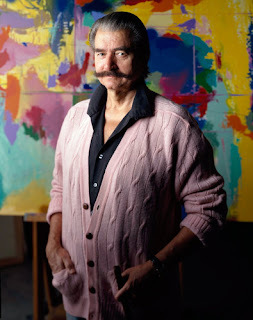 LeRoy Neiman passed away on June 20. He was 91. For decades, he was the most recognized artist in America. Born in St. Paul, Minnesota, Neiman used the GI Bill to enroll at The School of the Art Institute of Chicago, where he subsequently served as a member of its faculty from 1950 to 1960. In 1963, the same year he held his first one-man show at Hammer Gallery in New York City, Neiman established a studio there, and never left. Robust, with a persona that matched his art, LeRoy Neiman created a large body of distinctive, memorable, and for many, provocative artworks, that matched his often outrageous persona.